NHS England has published the 2017 to 2018 service specifications for all 11 NHS Screening Programmes. 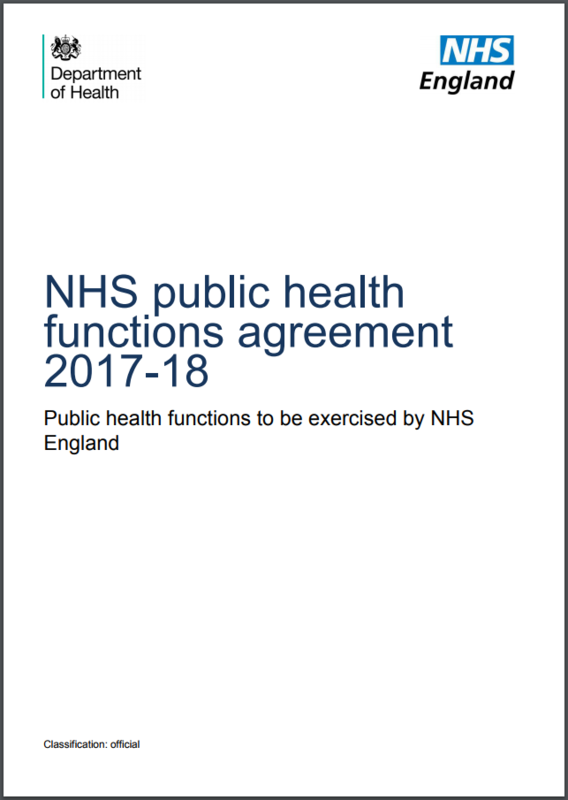 The specifications accompany the 2017 to 2018 agreement that outlines how NHS England commissions certain public health services under section 7A of the National Health Service Act 2006. The new screening specifications include changes to the national programmes in 2017 to 2018. The specifications are important reading for those involved in the commissioning and provision of screening services in England. Below are some of the most important changes. Screening providers will ensure any updates are made within the system that are their local operational responsibility. For instance, amended/new national standard letters will be uploaded and replaced within 30 days of notification. Newborn blood spot screening laboratories should check and report positive results for medium-chain acyl-CoA dehydrogenase deficiency (MCADD), maple syrup urine disease (MSUD) or isovaleric acidaemia (IVA) within 24 hours of being analysed successfully. Am I alone in scratching my head here? having searched for anything relating to the Cervical Screening programme changing to HR HPV primary screening but I cant find anything in Document 7a or 25. Does this mean further delay please? Thank you for your comment. I would suggest you refer to the section 1 of the service specification that refers to the purpose of the document. This service specification is applied by NHS England in accordance with the 2017-18 agreement. This service specification is not intended to replicate, duplicate or supersede any other legislative provisions that may apply. Where a specification refers to any other published document or standard, it refers to the document or standard as it existed at the date when the 2017-18 agreement was made between the Secretary of State and NHS England Board, unless otherwise specified. At the time the specification was produced, HPV Primary Screening occurred as a pilot only and mitigation had not been agreed.